It takes a lot of willpower and energy to recover from a critical illness or difficult period in your life. Often, getting through adversities can leave you feeling down and isolated, especially if you do not have your family or a core group of friends to help you through the process. Now you can show your support for those who have bounced back from life’s trials. 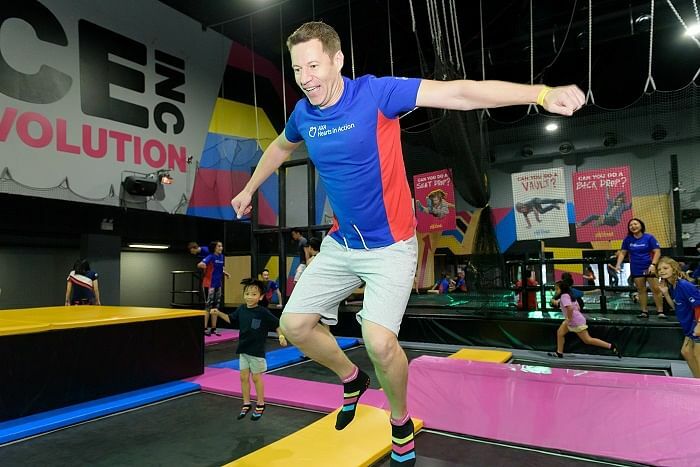 All you need to do is take the AXA Bounce for Good challenge on social media by sharing photographs and videos of yourself doing an action that involves a bounce — such as jumping, skipping and leaping — then upload the photographs or videos on social media. 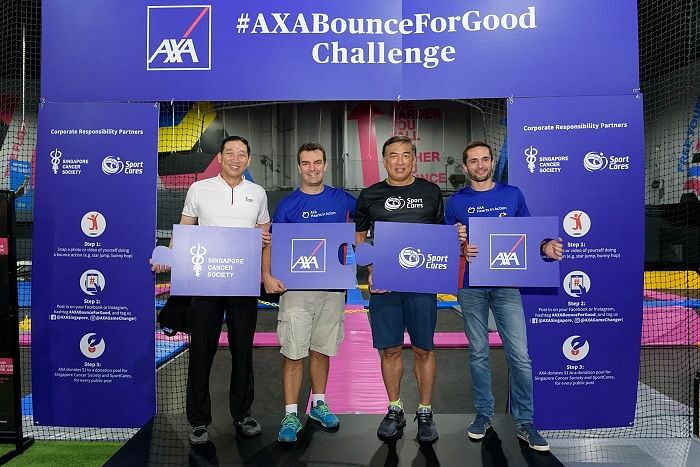 The Bounce for Good challenge is an initiative started by AXA Insurance. It aims to encourage Singaporeans to support and celebrate people who have managed to bounce back from adversities in life such as health issues, and do good for the community. The campaign will run till July 31. For every video or image posted on social media for Bounce for Good, AXA will be donating $1 to a donation pool for Singapore Cancer Society and SportCares. Each social media post must be made public, hashtagged #AXABounceForGood and tags AXA Insurance (@AXASingapore on Facebook, @AXAGameChanger on Instagram). AXA hopes to donate up to a total of $50,000 for both organisations. The Singapore Cancer Society works to increase the public’s awareness and support of those suffering from cancer, while offering ways one can take preventive action against the illness. SportCares promotes the empowerment and betterment of at-risk individuals through positive sports experiences. 1. Take a photograph or video of yourself doing a bounce (such as doing a star jump or a bunny hop — get creative). 2. Post the photograph or video on your public social media account with the hashtag #AXABounceForGood, and remember to tag the posts at @AXASingapore (Facebook) and @AXAGameChanger (Instagram). 3. AXA will donate $1 to a donation pool for its beneficiaries, the Singapore Cancer Society and SportCares, for every post made on social media. The Bounce for Good challenge is part of a wider Bounce Back Stronger campaign that highlights the importance of critical illness insurance protection to ensure ample support if faced with critical illness. The campaign and challenge came about as a result of AXA Better Beyond survey conducted on consumers’ awareness and attitudes towards critical illness protection in Singapore, which revealed that only half of Singaporeans own critical illness insurance protection despite nine out of 10 feeling they have a chance of being diagnosed with a critical illness. As part of its ongoing commitment to support critical illness awareness and prevention, AXA has also been donating $10 to Singapore Cancer Society for every AXA CritiCare for Her and AXA CritiCare for Him policies starting from April this year. Find out more about preparing for setbacks and the #AXABounceforGood Challenge here.